New Website + Twitter = Giveaway Time! After about two years, it was time for a new dressing up. Below is a shot of what it used to look like around here. Not bad, but I felt it was in need of some de-cluttering. It had also clearly been a while since I’d updated my profile photo. ;) And to top it off, I finally joined the world of Twitter again. So, what do you say we celebrate with a “Your Choice” giveaway? 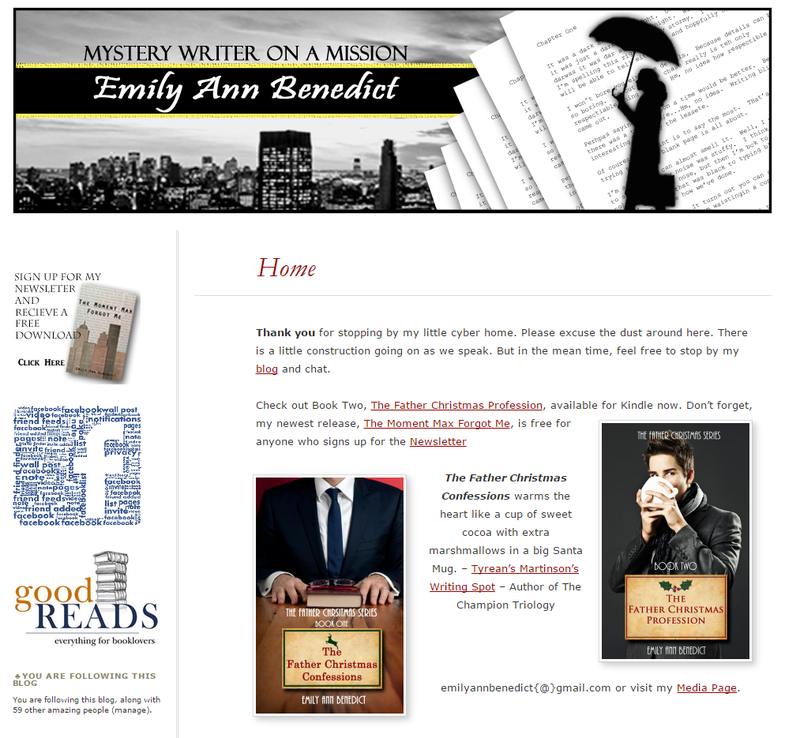 Two winners get to choose between a $5 Amazon or Starbuck gift card AND a choice of either a copy of my novel Only Angels Are Bulletproof or a free download of both Father Christmas Novels. Leave a comment with your email address to enter. Additional points grated for following me on Twitter, Facebook, this blog and sharing all of the above. Obviously, I’ve added a few inches. < Previous But the Writing is So Good! – How we justify Fifty Shades of Grey? Next > And The Winner Is! Cute hair! Would love to win this giveaway! I’m so happy to hear that, Susan! Thank you for letting me know. I’m a blog follower, facebook follower and twitter follower. I’ll do some sharing, too!